City Kids is written by Takoma, DC resident Caroline. Caroline previously wrote about Brunch at Jake’s American Grill. If there had been such thing as a spray park—a small, neighborhood cooling play spot—when I was a kid, I would have died and gone to heaven. But parks were a dry-land affair, and pools were pools, ne’er the twain shall meet. Luckily for today’s kids in DC, they have some great spray park options. 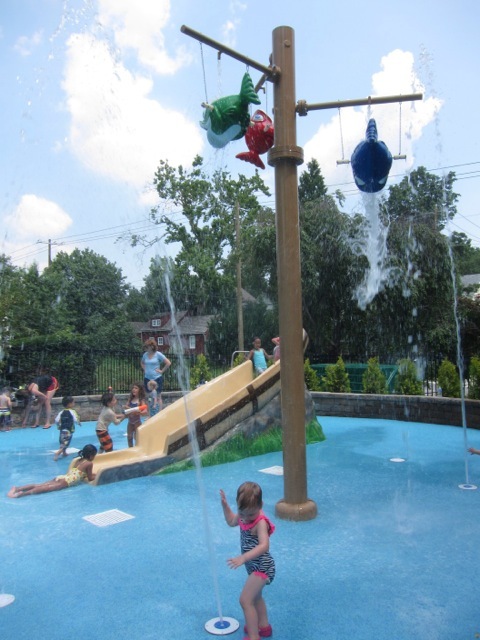 The spray parks typically cater to kids 10 and under; ones who would otherwise be playing on the jungle gym. Depending on the facility, though, older kids might not be all that interested. On a hot day, however, even the parents and caregivers will be in the water. 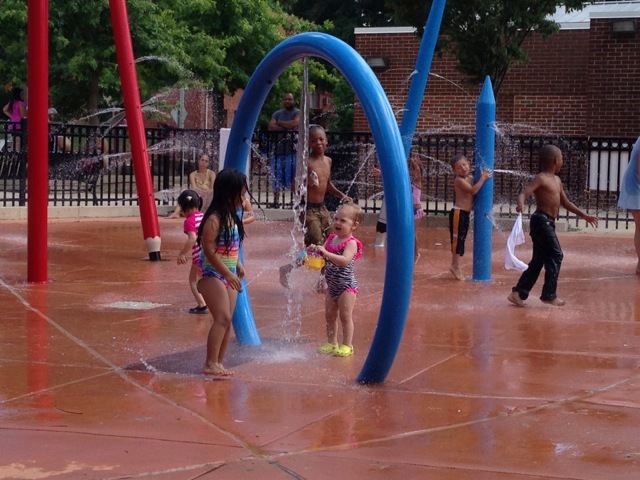 If you’re looking for a way to wear out some little ones on a hot day, check out your closest spray park. We checked out quite a few in the area and summed up the pros and cons below.